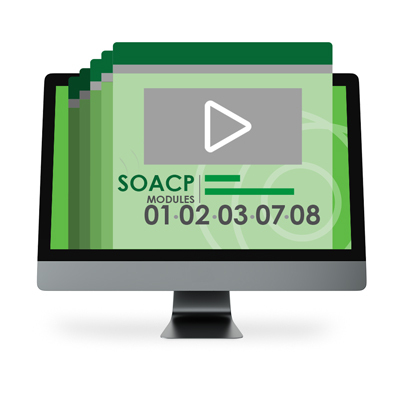 This digital Certification Study Kit Bundle provides on-line access to the course materials required to complete the SOA Architect track and prepare for the SOA Architect Certification accreditation exam requirements. Also available are optional add-ons for the purchase of associated exam vouchers and electronic text books (or eBooks). The first add-on is for a discounted Exam S90.SAR voucher. For those that prefer to take individual module-specific exams instead of a single combined exam, the second add-on offers a bundle of discounted vouchers for Exams S90.01B, S90.02B, S90.03B, S90.07B and S90.08B. The eBook add-on is for electronic versions of the Service-Oriented Architecture: Analysis & Design for Services and Microservices, SOA Principles of Service Design, SOA Design Patterns, SOA with REST and Web Service Contract Design text books, published by Prentice Hall and authored by Arcitura Education. These Prentice Hall eBooks are recommended supplements used to complete reading exercises in the course materials and to provide more detailed coverage of some course topics.